Every month the Maid to Shine house cleaning crew comes together and has a team event. For this team event we enjoyed a cookout lunch and three rounds of cut throat miniature golf. We love to work hard for our house cleaning clients and we love to be together as family. Past team events have included zip lining, bowling, a wedding, ice skating, board games, sushi night, movie night, and the Cheyenne Mountain Zoo. Here we are having fun at a team event! Enjoy the pictures and movies! Did this help you? Post a comment and tell us about it. 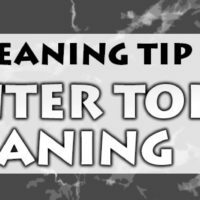 You can find other time saving house cleaning tips from Maid to Shine here.